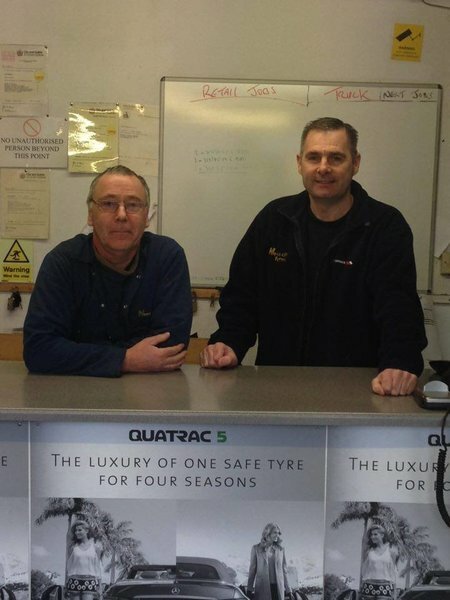 DIRECTORS TAM MACDONALD AND WILLIE PIRIE FORMED THE COMPANY IN 2001.TWO WELL KNOWN FACES IN THE TYRE TRADE WITH OVER 60 YEARS EXPERIENCE BETWEEN THEM,THEY HAVE BUILT UP A VERY LOYAL CUSTOMER BASE AND KEPT THE COMPANY AT THE FOREFRONT FOR THE LAST 15 YEARS. 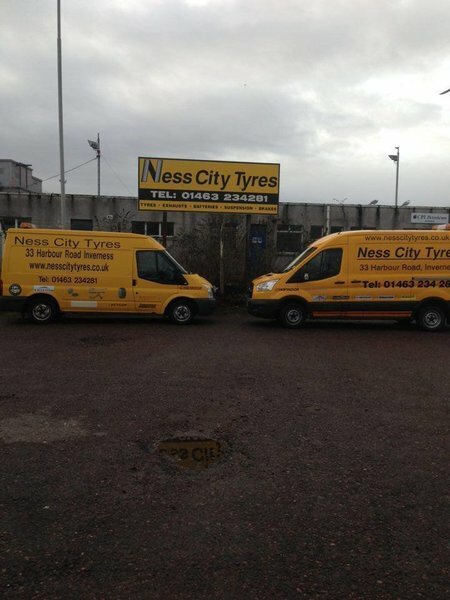 HERES A LIST OF TYRES THAT WE FIT OR A SUPPLY ONLY.
" BIG OR SMALL WE DO THEM ALL"
earthmover commercial truck forklift pneumatic solid atv. Lovely friendly place with great prices. As always the service was friendly, professional and prompt. 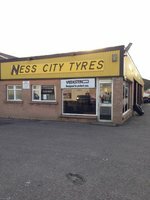 As a lady any visit to a garage/tyre company can be intimidating/unpleasant - Ness City Tyres however, are an absolute pleasure to visit. Cannot recommend highly enough. I apologise that this review is long overdue, but because this business saved our vacation, we really want to thank them. In June 2017, we were visiting from Canada and had a rental vehicle. 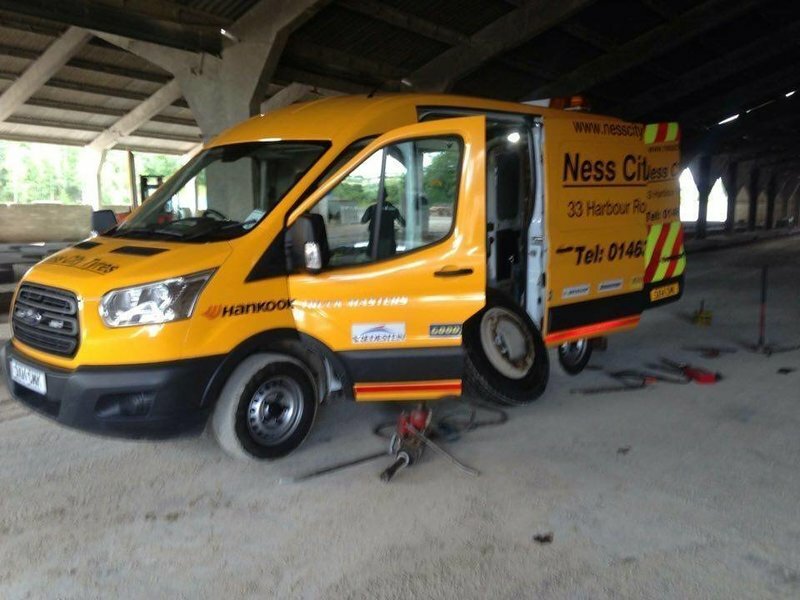 There was a mishap and we needed a new tyre. 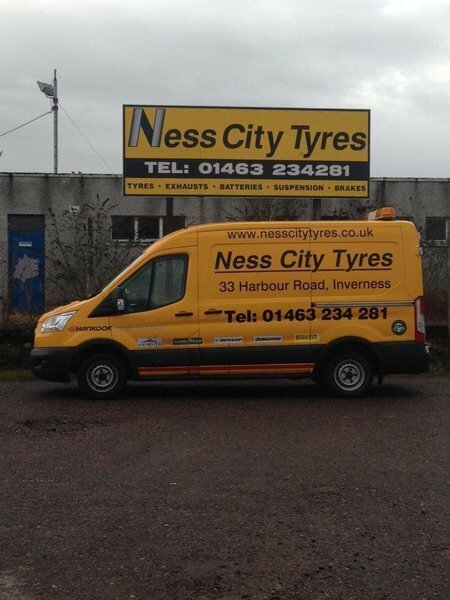 We asked a stranger where we could go, and he led us to Ness City Tyres. He said he was a long-time customer, and highly recommended them. We were not disappointed. They fit us in right away, and had us on our way in less than an hour, for a very reasonable cost. What could have been a very stressful situation turned out to be a minor inconvenience due to the efficiency and kindness of Tam Macdonald. Thank you to Tam and his staff who saved the day! 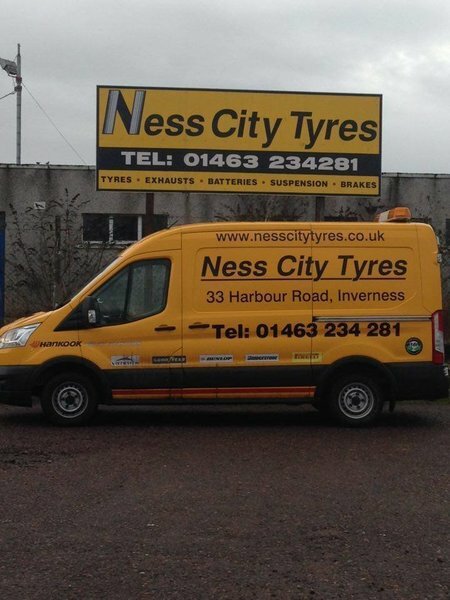 The Ness City Tyres keep me right - always helpful, their advice is reliable and they are extremely efficient. Fantastic and very helpful garage. Staff went over and above the level of customer care! The guys were really helpful and a pleasure to deal with. Would definitely recommend! When we turned up the chap was very nice to us and conveniently said he could do it there and then. We went shopping came back and it was ready for collection. We have been using them for over 5 years. 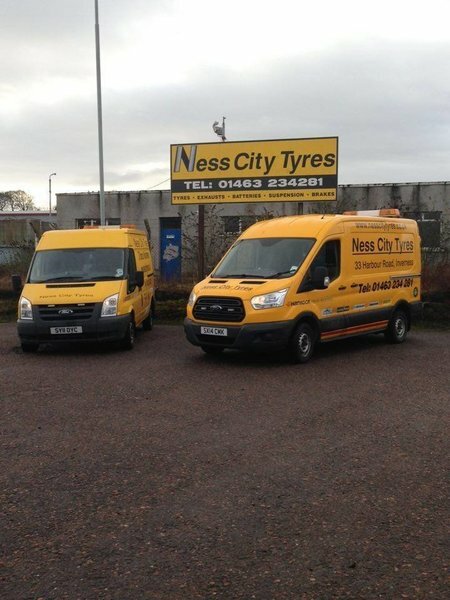 We had 2 new tyres fitted within the last 10 days. 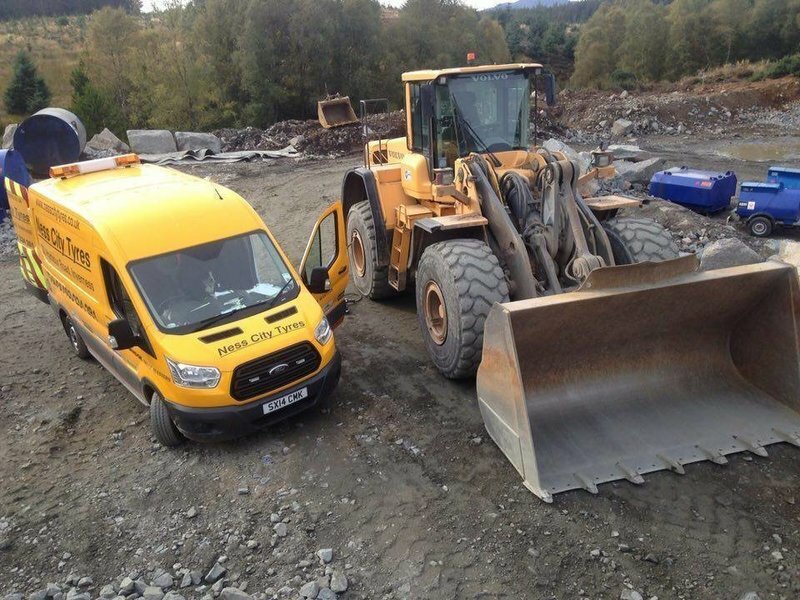 They are entirley reliable over the last few years. I was even greeted by name when i went in the other day. Always cheerful and friendly as always. 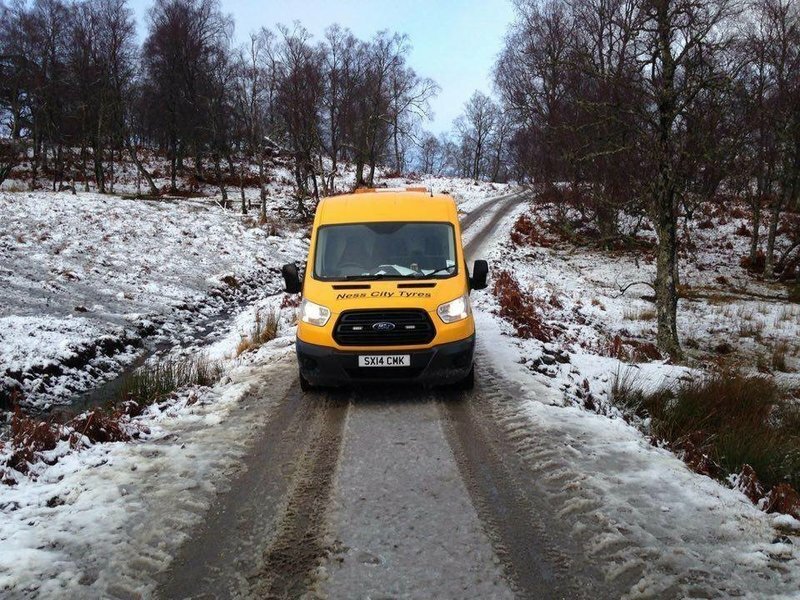 At the start of the winter we had 4 tyres fitted. No dramas at all. I find them really easy to get on with. Never any hassle. Quick and as painless as possible. All jobs dealt with within 24 hours.